First off, here are some of the interviews we published this past week which I found especially interesting. Dan DeFrancesco spoke to Jeff Sprecher, CEO of the Intercontinental Exchange, who said recent consolidation in financial markets has made it prime for disruption. I'd love to hear from you, our readers. What would you like this email to include? What have we missed? 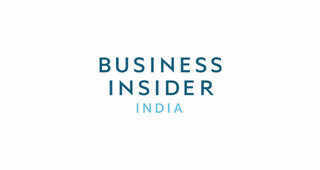 You can reach me at mturner@businessinsider.com. You can also take part in our subscriber survey right here. Investors need to be more careful than ever about how they click, talk, and type. Investment banks are watching. AT&T has a choice problem. Seemingly overnight, a crop of companies have sprung up that can prescribe and mail you medications like birth control and Viagra. All hires made by Tesla must receive CEO Elon Musk's approval, according to an email sent to Tesla recruiting employees in February.